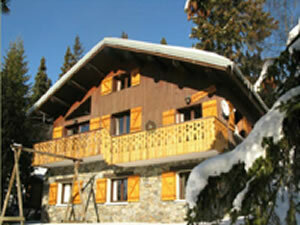 Chalet Gelinotte is in the attractive, compact resort of La Rosiere in the French Alps. Known for its sunny aspect, excellent snow conditions and good mix of uncrowded pistes, La Rosiere is a wonderful family-orientated resort but one that is suitable for all levels of skiers and snowboarders. It offers the chance to ski into the Italian resort of La Thuile as it straddles the French-Italian border and provides excellent value for money with reasonably priced ski schools, hire shops and apres ski activities are just a few minutes away. There’s no doubt this all-rounder of a resort is extra special. The weekly firework display, torchlit descents, a snow park, cross-country ski trails, snow kiting , snow shoeing, sledging and the much talked about ‘Narnia walk’ which connects La Rosiere to Les Eucherts all contribute to making this attractive resort one of the best in the Alps, leaving holiday makers with lasting memories and the desire to return. 5% off bookings of four or more people when you mention PutneySW15.com when booking on or before January 1st 2014. 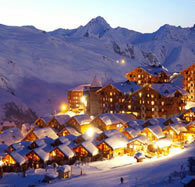 La Rosiere has an excellent snow record with its high altitude slopes stretching from the resort up to 2650m. The ski area enjoys an enviable position on the border with Italy giving it the advantage of catching weather systems coming from both directions and also often has above average snowfalls for the Tarentaise region. Almost all the skiing is above 1850m so the slopes hold their snow well and much of it is north facing, helping preserve the good snow conditions even in prolonged warm weather. The snow stays put long after the season has ended. "I have a family and group of ski friends who vary from expert to nervous and have chosen to visit this resort time and time again due to it’s friendly feel, sunny aspect and the novelty of being able to ski to my hearts content between France and Italy with mixed abilities." As a independent family run chalet, (and popular One Fanthorpe Street, Putney, Bed & Breakfast), we provide a more flexible and intimate approach to other larger chalet companies. 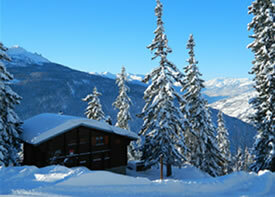 We are happy to discuss any requirements you may have to ensure you have the best time away in La Rosiere possible.